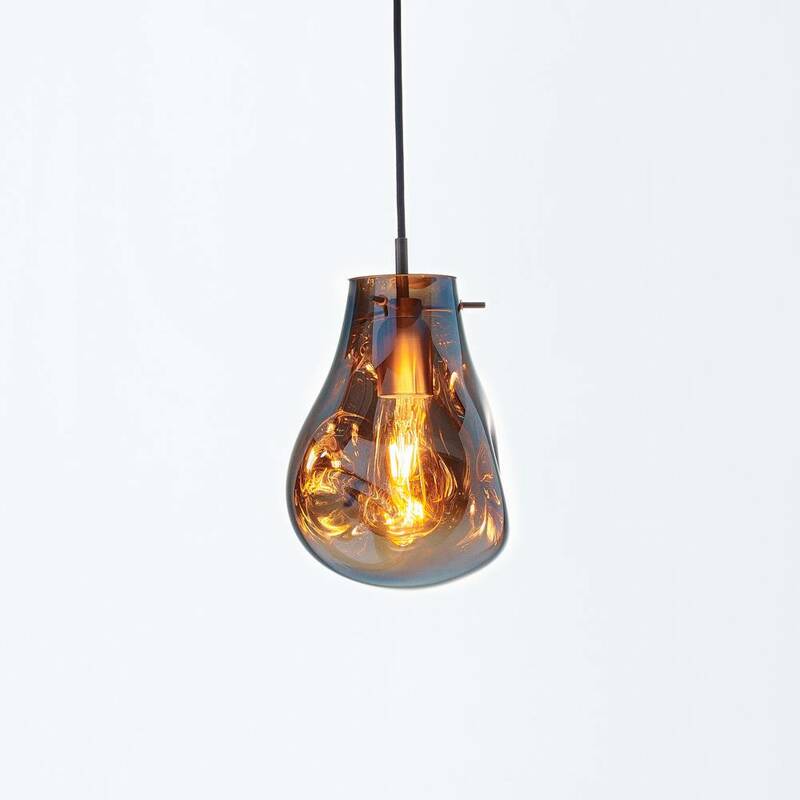 Small lamp is in stock. 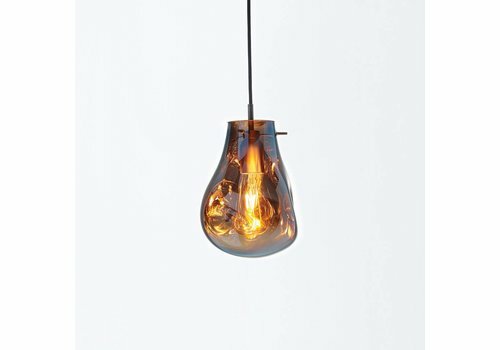 Available to dispatch immediately from London. 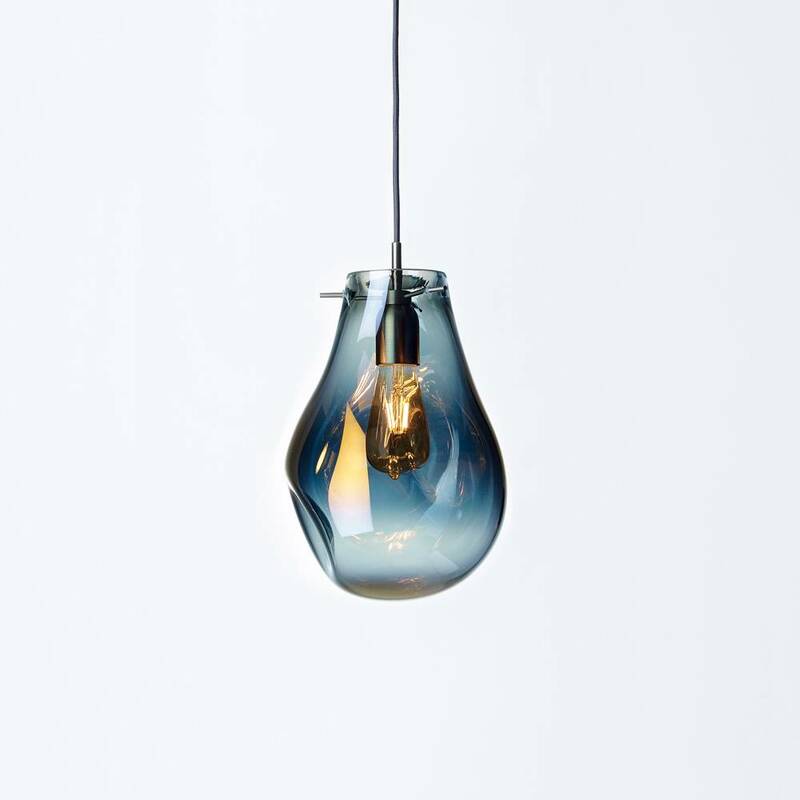 SOAP has evolved from working with organic freely blown glass and experimenting with coating technologies. 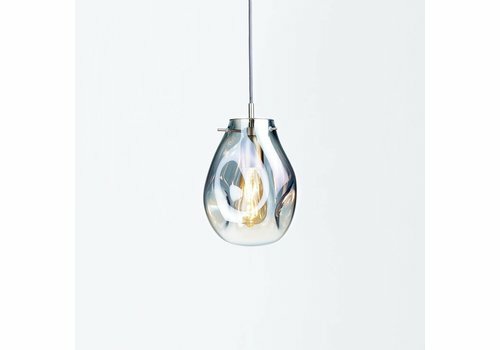 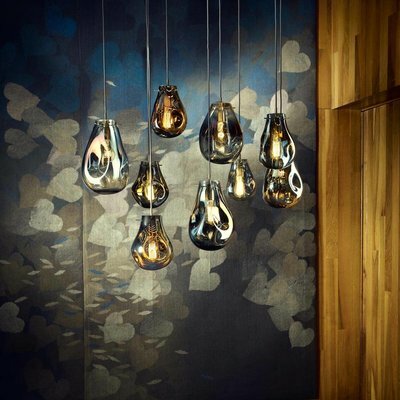 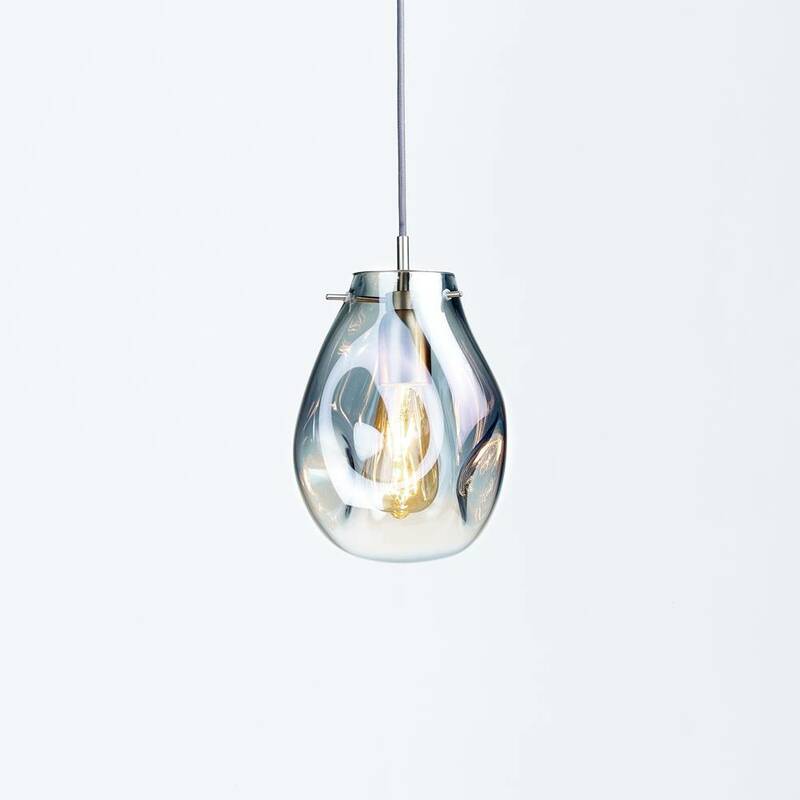 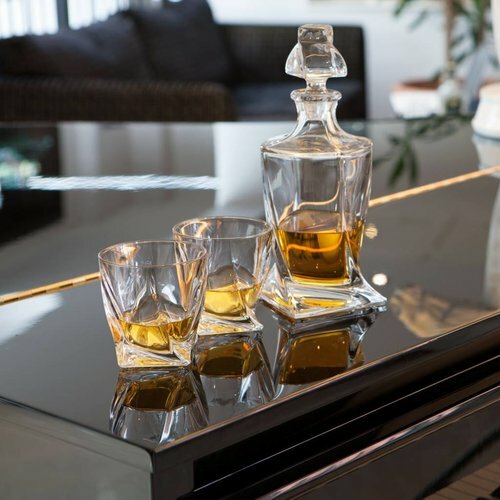 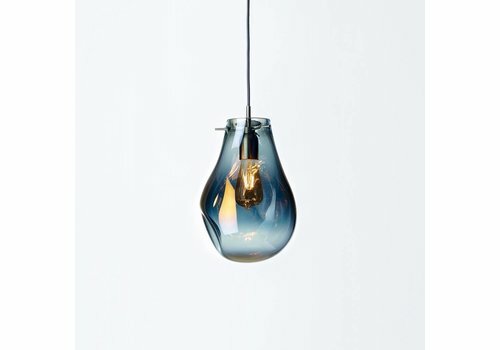 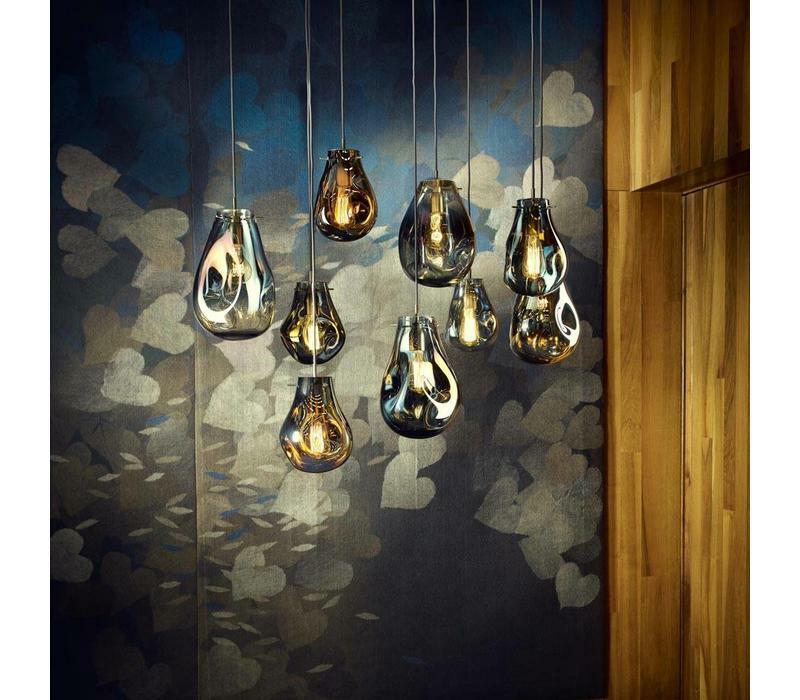 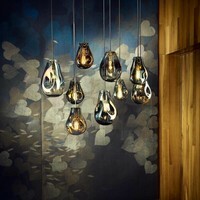 These lights are handmade to order in the Czech Republic, the home of fine crystal glass. 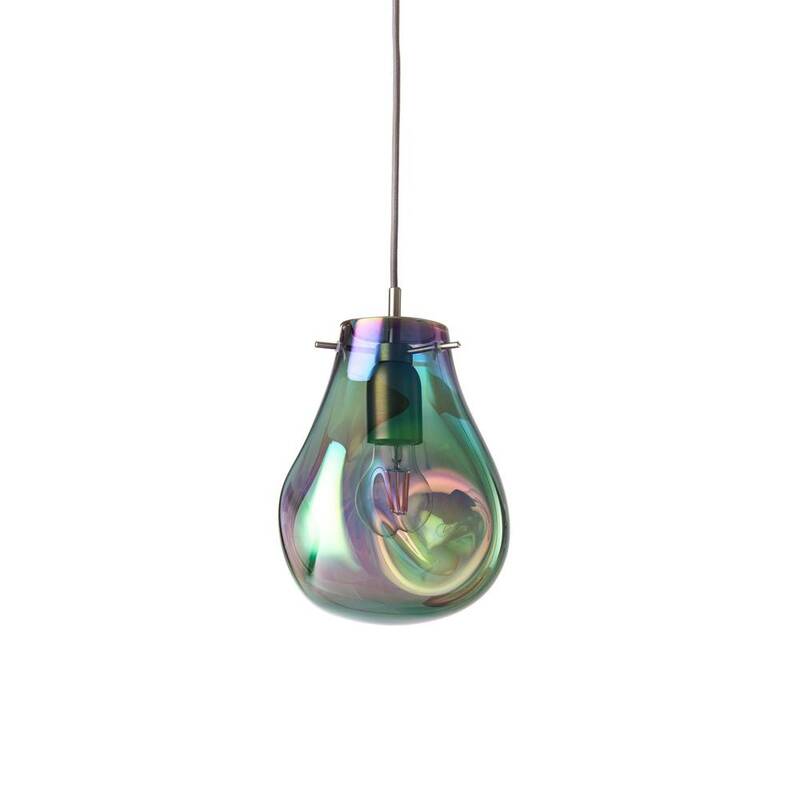 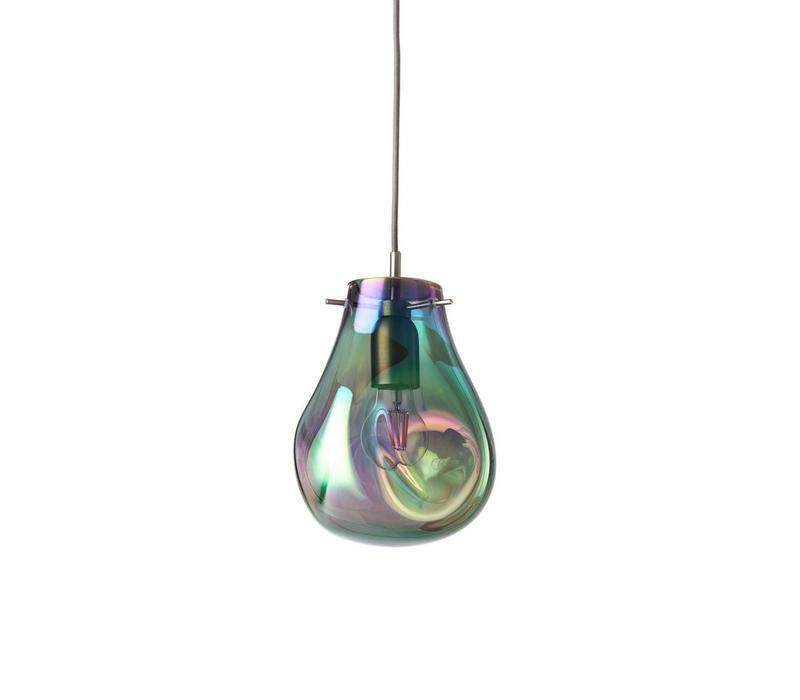 A unique metallisation process gives the ceiling light its iridescent tinge, with a choice of blue, silver, gold, green and purple finish. 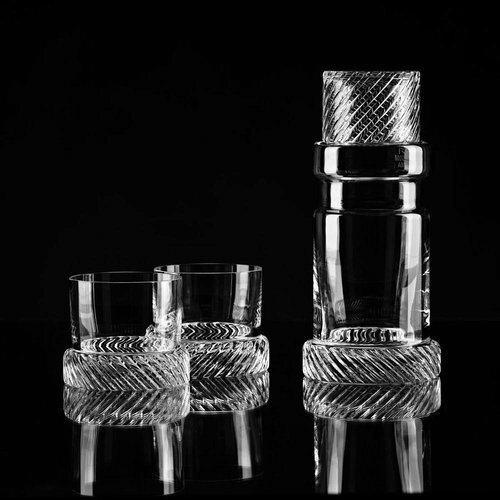 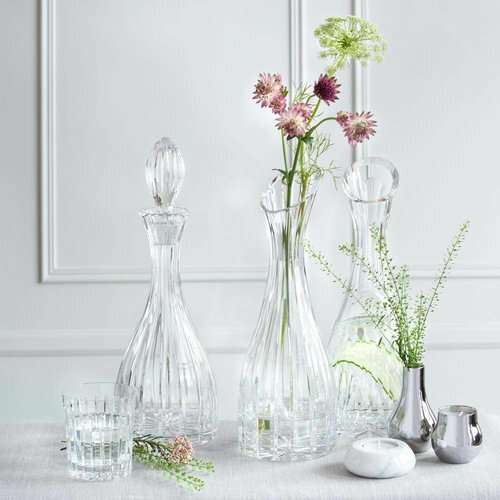 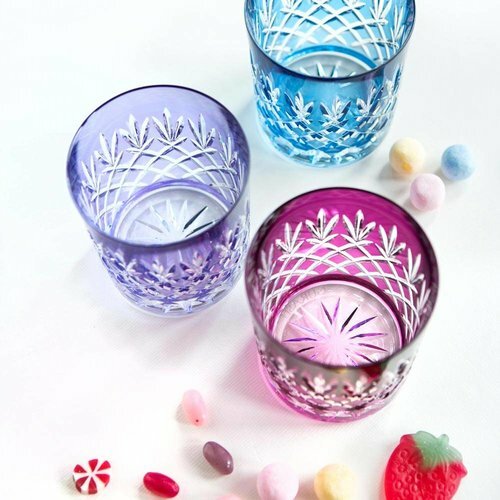 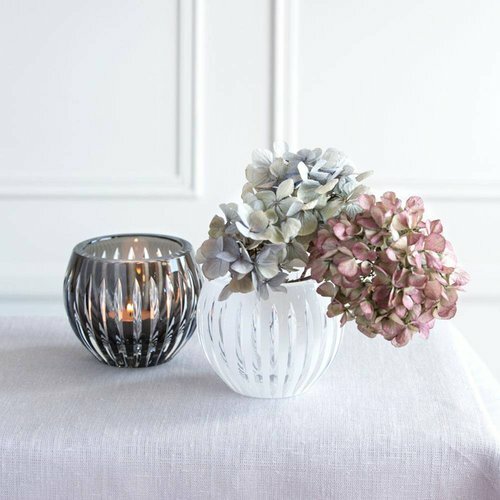 Crafted in the Czech Republic – the home of contemporary glassmaking – each is a one-off piece with slight variations in its shape and color.